I did try it….no dice!! Look at the picture of the size of the noodles! !They don’t make noodles that WIDE in Canada. 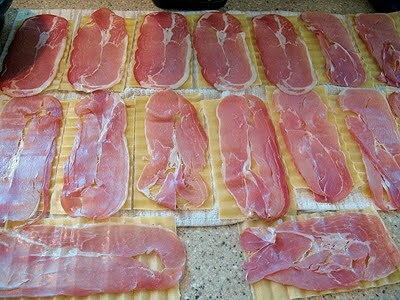 The cooking time was way off…should be over an hour. I’m sorry it didn’t work for you Louise. It was delicious for me. 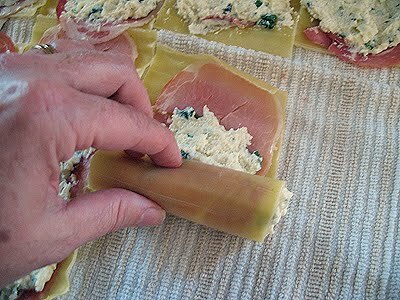 I don’t think it’s really fair to rate a recipe and give it a non-recommendation based on making it without the proper ingredients. I don't see why not Carmen, sounds like a delicious twist! 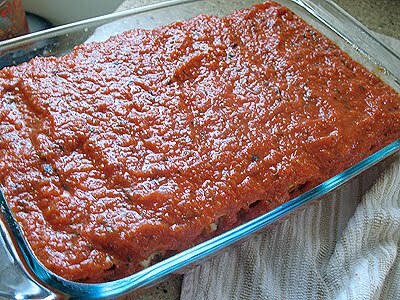 is there a way that instead of the tomato sauce i can put alfredo or white sauce for the manicotti? Oh, my word, Amanda! 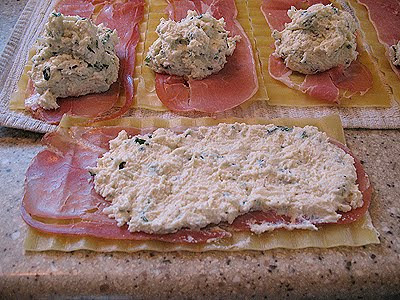 This is one of the most fabulous looking recipes I've seen in quite some time. We'll be trying this one at our house soon! Yes, I knew I saw this! 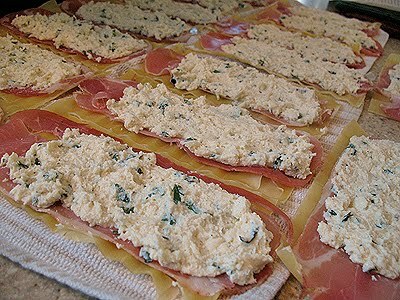 I love the prosciutto in it! 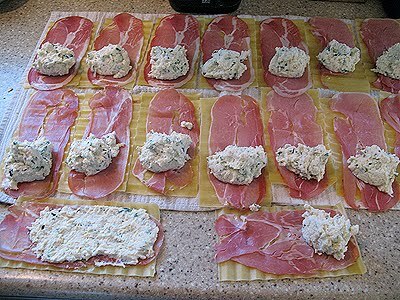 That looks pretty flipping delicious, love your step by step pics too. Stuffing manicotti noodles is a real pain in the behind. I like this idea a lot! Looks like a great dinner for a cold night! Kelly, please let me know if you try it! 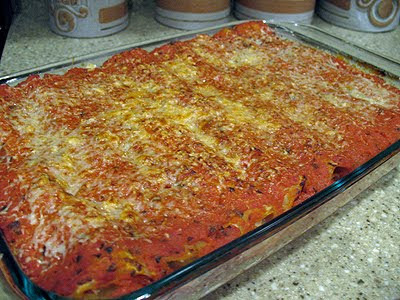 Amanda, HoneyB, whoever else wants to know, I have made lasagna for years and I always use the regular noodles (not the no-boil ones) and I never boil them first. 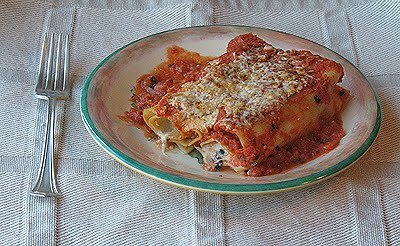 Just layer on like regular lasagna. The noodles always cook all the way. I hate taking the step of boiling the noodles first. Just an FYI, you should try it sometime. Although with the no-boil noodles readily available, I do buy those when I can. I just like the shape and their thinness a little better. 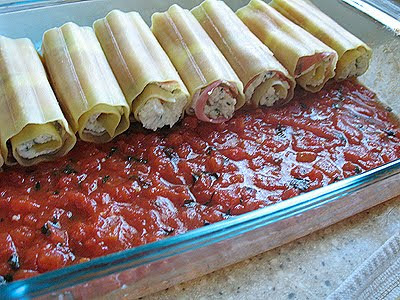 I haven't tried manicotti shells (not boiling at all first), but now I'm totally wondering if that would work. Maybe the cook time isn't quite long enough for those. Hmmm? Amanda, the dish certainly looks de-lish. 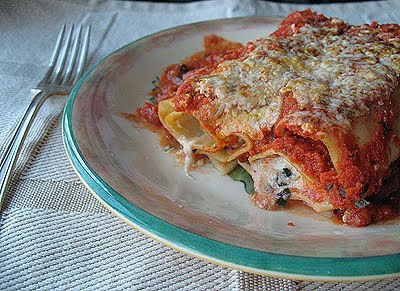 One of my favorite meals is lasagna (and the like). And now I know what I want for dinner. But I may just have to go get some shells and try it. And I'm rambling, but great post, Amanda. Looks wonderful Amanda and what a great idea! 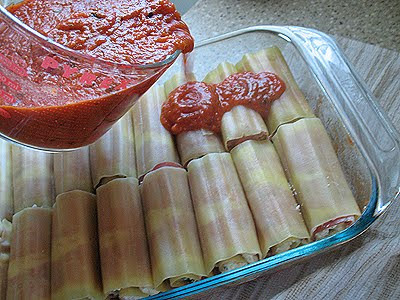 I have never seen manicotti made like this. 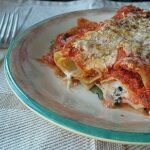 We used to always have manicotti on holidays when I was growing up.